Have you ever dreamed of turning a non-residential building into a home? For years I dreamed that dream. I had seen HGTV shows where people had converted libraries, laundromats, schools, churches, fire stations, etc. and I wanted my own non-house home. Guess what? I got it! I don’t have a pic that shows the whole addition, but this was our grand entrance/carport. 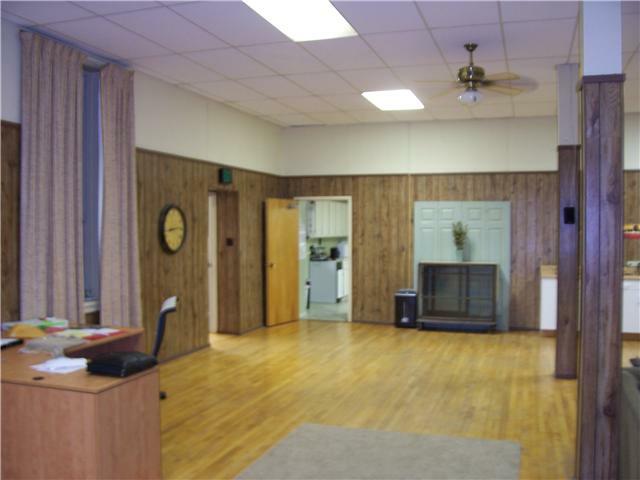 These pics (above) were taken on the first day that we actually laid eyes the place. Want to see what it looked like upstairs on that same day? Cool, right? At that time, the upstairs portion was being used as a museum. 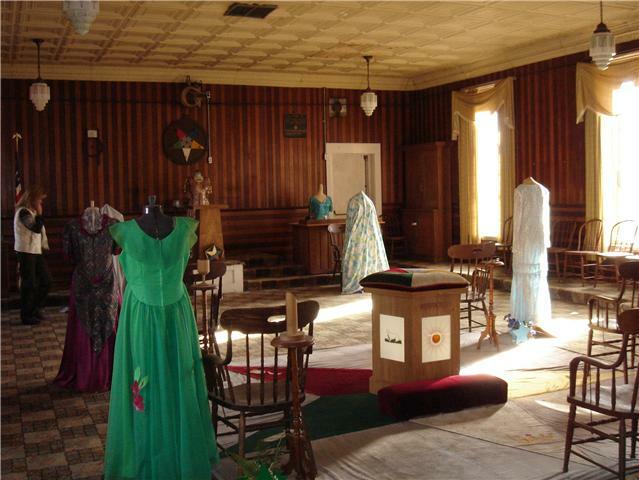 Apparently there are formal occasions that the wives of Masons get all dressed up for and this room had several old gowns displayed on dress forms. After seeing this room I wanted to buy! Let me just say that I was surprised as all get out that my husband even agreed to look at the place, but even more surprised when he was willing to make an offer on the spot. It took several months for the Masons to get the zoning changed to allow it to be residential/mixed use and to get the CA branch of the Masons to approve the sale. Six months later, we were in. Unfortunately, the nosy local historic society, figured that if they couldn’t have it, no one should. Trust me… it is a story that you don’t want to hear. Suffice it to say that an 86 year old grouchy woman must have camped at the county offices until they finally made us move out after living there for 18 months. We were told that we could move back in again, but we would have to move out first. Huhhhh? Yeah….no! The dream turned nightmare and we were ready to wake up. We sold the place. That said, living in an old 7,000 square foot lodge was so much fun. Oh, the stories that I could tell you. Since the place was so big, our kids used scooters and skateboards to get around. The men’s restroom had a urinal. As a mother of 3 teenaged boys and lots of teenage boy visitors, I loved that urinal. Wow, that is a phrase that you don’t hear often! Want to see more pics? Of course you do! This room was about the same size as our first home. It served as a dining room, living room, hubby office and behind a curtain wall, master bedroom. Let me just say that it was a long, long trek to the restroom in the middle of the night! This pic only shows about a quarter of the room. You can see a tiny portion of the kitchen which was quite large and had a commercial dishwasher that could wash and sanitize a tray of dishes in about 90 seconds. That was awesome! This room is even bigger. It housed our 3 sons, workout equipment, ping pong table, etc, etc. A bit of a mess here, but you get the idea. This was, hands down, my favorite room of the house. I wish that I had taken more pictures, darn it! The painted tin ceiling and crown molding were simply amazing. There are 4 tall windows down each long exterior wall that brought so much light into the place. Great cross circulation, too. The walls are old growth (remember…1867!) redwood. You can see that they carefully alternated between red and orange redwood boards, horizontally below and vertically on top. The ceilings are 11 feet tall. This is a second story room, for heaven’s sakes! 11 foot ceilings! 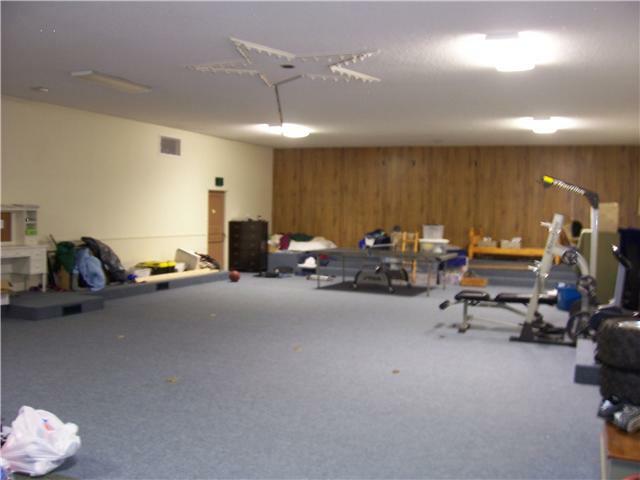 My friend, Patrice, and I used to use this room as an indoor running track…it is that big. So, I got my dream, after all. Sometimes dreams don’t turn out like you thought they would, and that is okay. I guess. Living in a normal house again does have its perks. Like a toilet that is less than 186 steps away from the bed. I hear that the place is going on the market soon. I’m almost tempted to try the dream again. Almost. Do I regret the 18 months of living in a lodge? Heck, no! 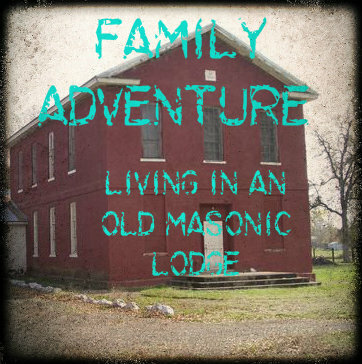 It was an adventure that my husband, my children and I will never forget. I’m curious: Would YOU ever move into a non-house home? !!! Most viewed link at Weekend Retreat Party #128 !!! Dreams are what keep us going! Beautiful!! There is so much potential!! Yep, it was fun while it lasted. Thanks for stopping by! what an awesome adventure! I’m actually from a very small town not to far from Shasta! It’s nice to see another small town Northern California girl! I’m sorry they made you give up your dream of an unconventional home! It would have been such an amazing home! I have recently started hosting a new link party with Refresh Living and Vintage Refined and we would love to have you come link some of your awesome posts with us. The party starts every Tuesday at 7pm CST. Well, how cool is that? Small world! I will definitely visit your party and add you to my Link Parties page. 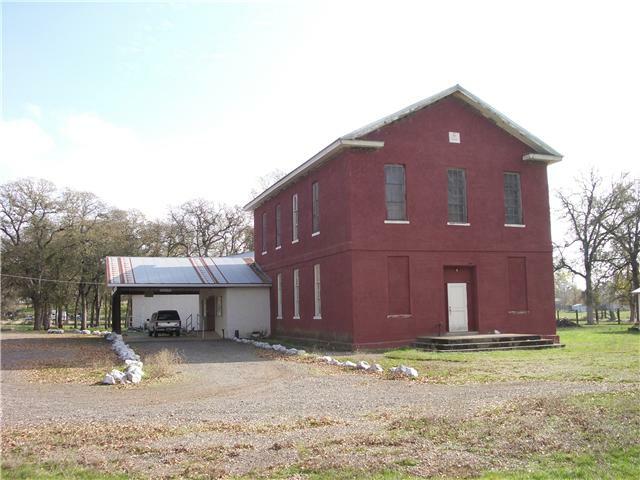 The California Historic Building Code recognizes the importance of keeping historic buildings occupied. In fact, there is specific wording in the code that mandates local jurisdictions make accommodations to ensure continued use of the building, knowing that vacant buildings are often vandalized or destroyed. Ironically, the local “Historic Society” and county officials are more interested in their own agenda than following the State mandate showing they are not concerned about historic preservation, but for control over and the trampling of private property rights. 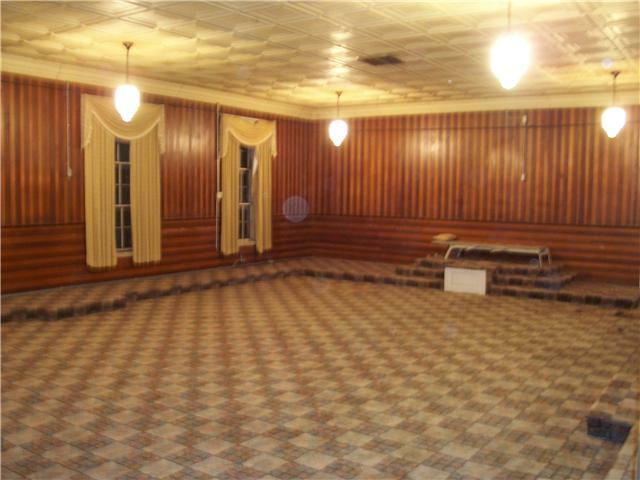 Therefore, the building sits vacant, not maintained, and frequently vandalized. The political agenda wins this time. But what have they won? Time will tell the fate of this historic, and once magnificent building. Wise words from my Structural Engineer Hubby. Thanks, Hon! Love you, too! Thanks for linking up with us. So cool! I totally agree – non-conventional places like this make such a great story and a unique home. Thanks for sharing. Why, thank you for even thinking about nominating me for a blogging award! So kind of you! Back in the 80’s, my parents toyed with the idea of buying an old church to live in, but it never happened. It would have been awesome, though! I will contact you. Thanks, again! That is so kind of you! I have been up in the mountains of Oregon with a girl’s camp without technology so I’m just getting back to business. Email address above removed. I hate that the local historical society made things so difficult for you but this is such a neat story and I really enjoyed hearing about your experience and seeing some pictures. I would definitely consider moving into a non-traditional home. I love the history and the unique aspect of it! Thanks! It really was fun while it lasted. That would have been a great place to make your own! I have always wanted to live in a barn or church. My hubby not so much, lol. How awesome! I always thought it would be cool to buy a small chapel or church and make it into a house. Especially if there were stained glass windows! I wish you had more time to make the place your own. I’m sure it would have been wonderful! BTY, I live in Ca. too and have been through Shasta a few times. Beautiful place! Small world! I hope that your little part of California is greener than Shasta County is right now. Darn drought. Thanks for your kind comments and thanks for stopping by!